It’s finally football season! Whether you cheer on your favorite team from the patio, stadium parking lot or bed of a pickup truck during harvest, we can all agree there’s nothing better than game day. Beyond the balance of comradery and rivalries, tasty tailgate treats are key to scoring big all season long. To help you draw up a winning menu on game day, we’ve pulled together some of our favorite easy-to-enjoy tailgate recipes! Each dish features fresh and delicious ingredients grown and raised by Iowa farmers. 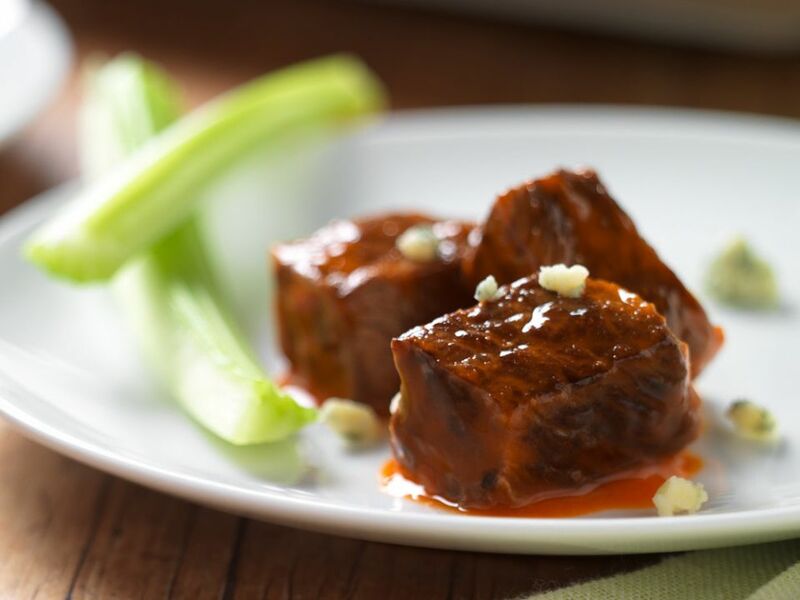 You can skip fork and knife fussiness with these bite-sized Buffalo-Style Beef Bites from the Iowa Beef Industry Council. They’re slow cooked until they’re fall-apart tender, and then coated in a zesty cayenne pepper sauce. Find the recipe here. Bring home a trophy with these Bacon Wrapped Ribs from the Iowa Pork Producers Association. These simple yet drool-worthy ribs start in the Instant Pot and end fresh off the grill. Find the recipe below and cooking video here. Grab a cracker or veggie stick and dig into this Cheesy Corn Dip! Inspired by the Iowa Corn Growers Association Iowa Corn Quest, this simple slow cooker recipe from Kleinworth Co. is a touchdown. Find the recipe here. 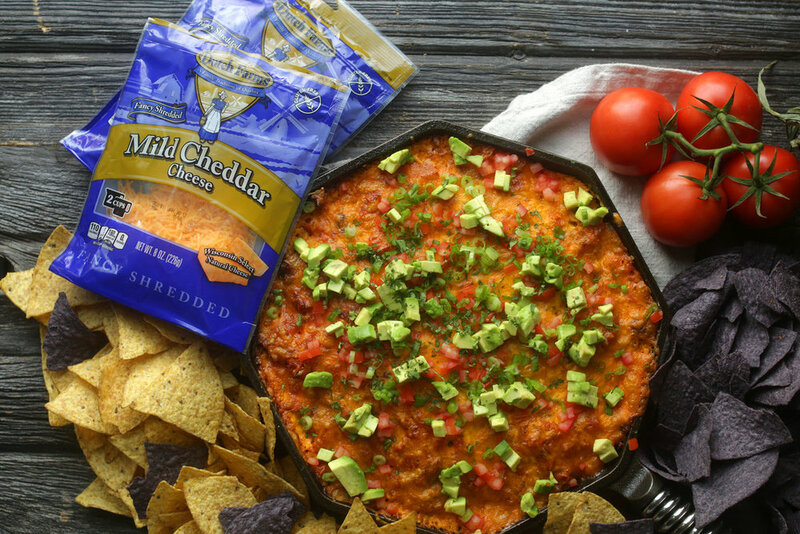 After one bite, you’ll be huddling around this Chorizo Fundido Dip from Midwest Dairy. Beyond the creamy, cheesy goodness, the chorizo sausage adds the perfect kick of spice up your game day spread. Plus, each serving packs a filling punch with 23 grams of protein! Find the recipe here. Make a morning game a special treat with these Tailgating Eggs from the Iowa Egg Council! The easy-to-eat and easy-to-clean up eggs are hard boiled, sliced and filled with a delicious breakfast sausage and cream cheese mixture. Find the recipe here. Put some heat on the defense with these Atomic Turkey Peppers from the Iowa Turkey Federation! The spice of the jalapeno pops with the cream cheese mixture and is complemented with turkey little smokies and turkey bacon. Find the recipe here. Round out your starting lineup with this Edamame and Corn Salad from The Soyfoods Council. It’s a light and refreshing combination of edamame, corn and bell pepper set off with a light vinaigrette. Find the recipe here. No matter if your team wins or loses, you’ll be the MVP for serving farm-fresh tailgate treats on game day!